I'm far from considering myself technically savvy. I know the basics and get by. My husband and my son know twice as much as I do, however I'm trying to understand all I can so I can stay updated with all the advances. I was asked to offer a review on a tech product available on Amazon called the ANEWISH Wifi Adapter. This is definitely not something I'm familiar with, but I want to share my experience with this product with you. I was compensated in exchange for sharing information regarding this product, however, all thoughts and experiences expressed are my own. For more information, please see my full disclosure. 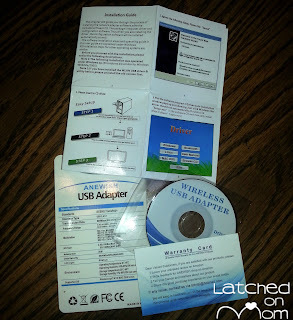 The ANEWISH USB Wifi Adapter is an add-on antenna you connect to your desktop computer or laptop that helps connect to the wireless internet network. 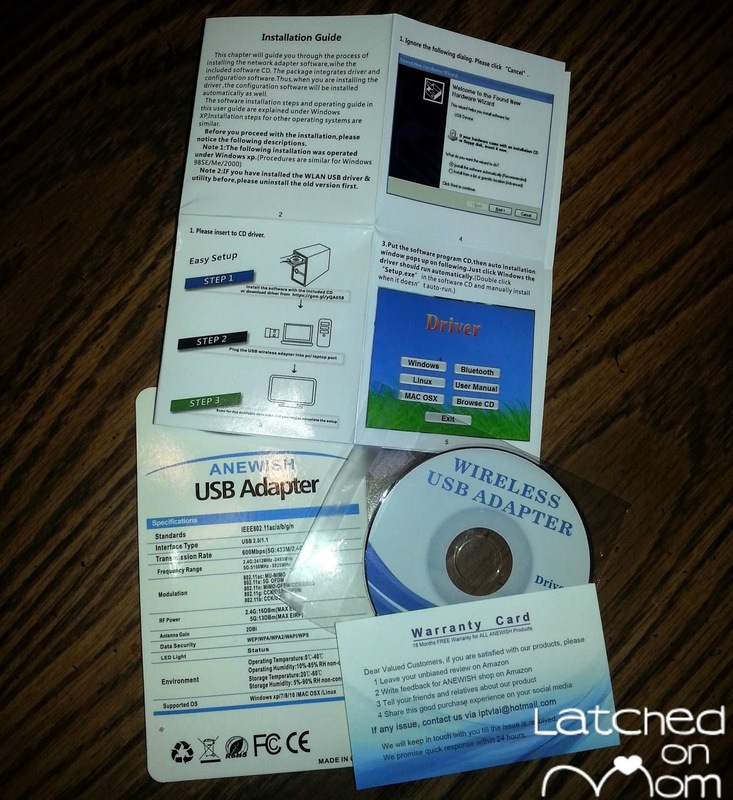 Wireless adapters communicate with a radio signal- either 2.4GHz or 5.8GHz. The ANEWISH Wifi Adapter features both, so it is considered Dual Band, and this is beneficial to be able to run off of both frequencies. Inside the package you receive the wifi adapter, an instruction manual, the cd driver, the specs of the product and the warranty card. To install, all you do is put the cd driver in the computer and unzip the file, then install according to your computer's operating system. You can also download the software too, in case you do not have a cd driver. ➙ If you don't have a wifi capable computer, this will work great for you! ➙ It's compact and when used on the desktop, it is out of the way. Plus it swivels! ➙ Easy installation- just pop in cd and press a button! ➙ Non-corrosive copper metal material is durable and lasts a long time. ➙ 2 year refund or replacement warranty and LIFETIME technical support! ➙ The sale price is great for those on a budget with an older computer that can't afford to upgrade. 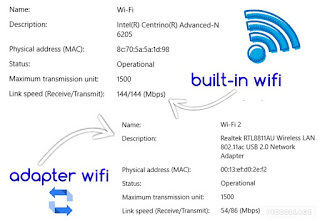 ➙ Soft AP & WPS Function: Soft AP Mode to create a Wi-Fi hotspot for mobile devices. WPS (Wifi Protected Setup) encryption method to remember and protect password. Like I mentioned above, if you don't have a wifi capable computer this product will benefit you the most. For those that have the built-in wifi, like we do on the laptop, this product wasn't as useful. 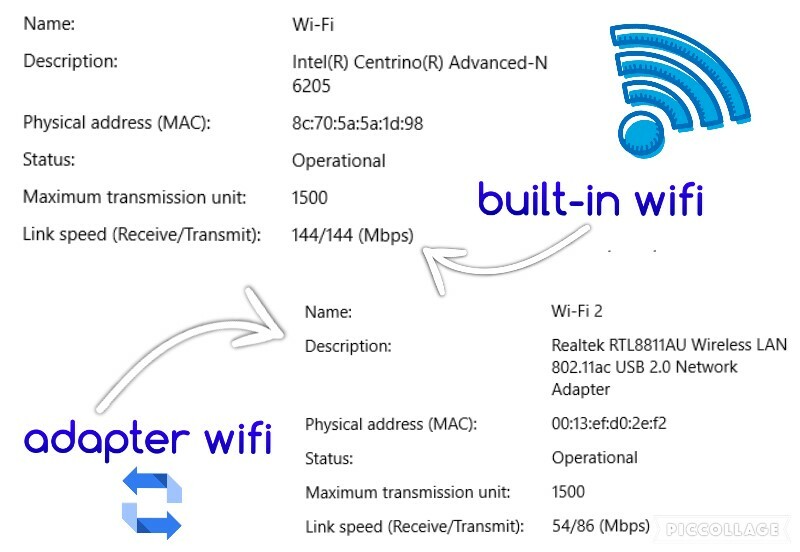 I have the details below in a graphic of the difference between the built-in and the adapter. We only got up to 86 Mbps with the adapter but have 144 Mbps already. What's my favorite thing about the ANEWISH Wifi Adapter? It is super easy to use, anyone could figure it out! Once installed, you don't need to worry about it anymore. My husband suggests a READ-ME file added into the driver cd would be very helpful, especially in discussing all the available features and how to take advantage of them. 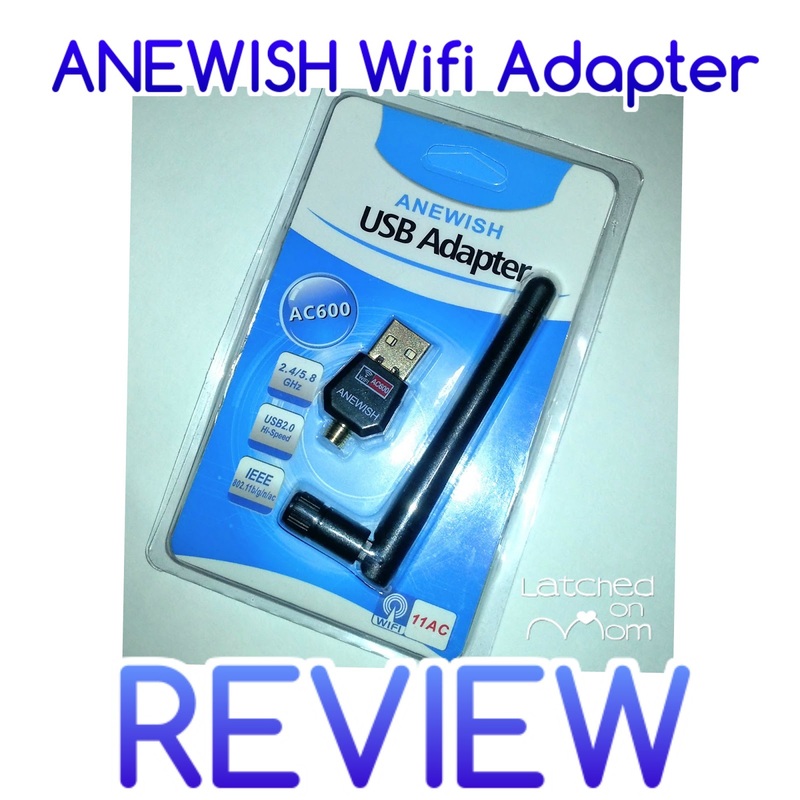 I give the ANEWISH Wifi Adapter a 6/10. This product wasn't too useful for us because we have the built-in wifi, and our router is directly beside the desktop. However if the router was further away or we had an older laptop without the wifi capability, I'd give it more points. There is currently a discount for this product on Amazon. Enter the promotional code A3MHD82Z at checkout and after the discount you'll spend $9.99 which is about 40% off! 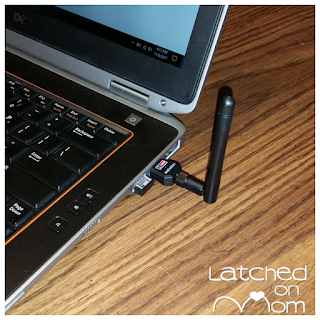 Do you use a wifi adapter? I hope this post helped explain what they are and how to use them!